Our much anticipated costume party turned out beyond great! 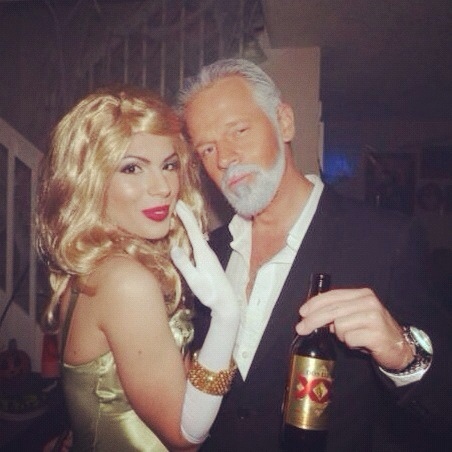 Michael dressed up as “The most interesting man in the world” (the Dos Equis guy) and it was quite the transformation! It took some time to get used to seeing him with all that gray hair, haha. I also transformed quite a bit; I went as his glam date (totally inspired by Marilyn). It was tons of fun and everyone seemed to really enjoy themselves, so I say: success! Hahaha maybe a little too much!